Some new gear that arrived a few days ago. 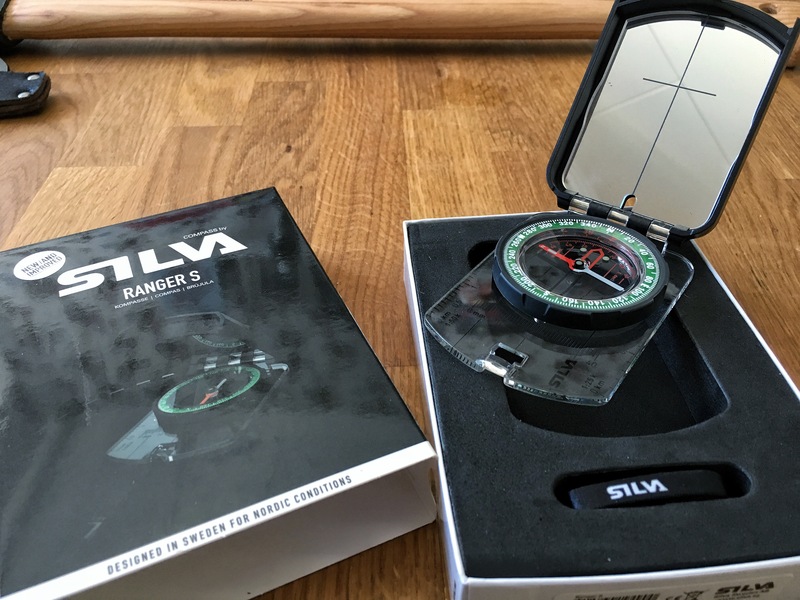 The Silva Ranger S Compass will replace my older Silva model. It’s nothing wrong with my current one but there was a feature that I was missing. A mirror. Besides the benefits of having a mirror on the compass for actual navigation it also doubles as a normal mirror if you get something in your eye, signal mirror if your in distress etc. Rather than buying a separate one and leaving that with my first aid kit I thought it would be better to combine two things rather than having separate ones. I try to always go for items that are multi-purposes, it saves weight. I was also looking at the Suunto but they were both heavier and more expensive and I guess I wouldn’t be using the extra features they offered. The Wetterlings Les Stroud Bushman Axe is not gonna be used for my lightweight camping, obviously. More a around the house kind of axe. We have a fire place inside and also in the BBQ house so I need to split wood from time to time. That’s one purpose and the other is to have a larger axe for my “bushcrafting” (lack of a better word) trips. I already have a Wetterlings axe that I got as a gift from my grandparents, it’s a shorter model and works great for splitting wood for your coffee fire. But for larger things or when you need to split larger amounts of wood it doesn’t do the job as good. I found this one on sale and decided to go with it. However it’s now out of production only one day after I bought it. I contacted Wetterlings as I was curious as to why and they said that they’re going to stop producing axes under their own name. Instead they’re going to be a production facility for their sister company Gränsfors Bruks axes. I for one didn’t know they were a sister company to Wetterlings or probably the other way around. Makes me a proud owner of one of the last axes of that series ever being produced. Maybe I should just hang it on a wall instead? Haha!